Remote, rugged and incredibly beautiful, Stewart Island showcases an almost untouched New Zealand. Offering a spectacular mix of breath-taking landscapes from golden sand beaches to forested hills and a coastline of rocky outcrops, Stewart Island is a natural haven for marine and bird life. Famous for colourful sunsets, its Maori name Rakiura translates to “land of the glowing skies”. 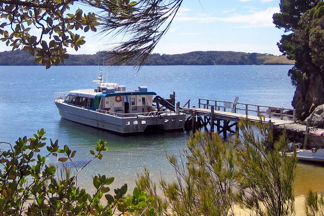 Stewart Island Experience operates daily ferry services between Bluff and Stewart Island. 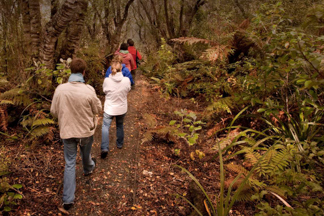 Once there, visit Ulva Island, a renowned wildlife sanctuary, explore the village and bays with a local, join a Wild Kiwi Encounter for the opportunity to see kiwi in the wild or immerse yourself in the sights and sounds of Stewart Island on a guided walk. 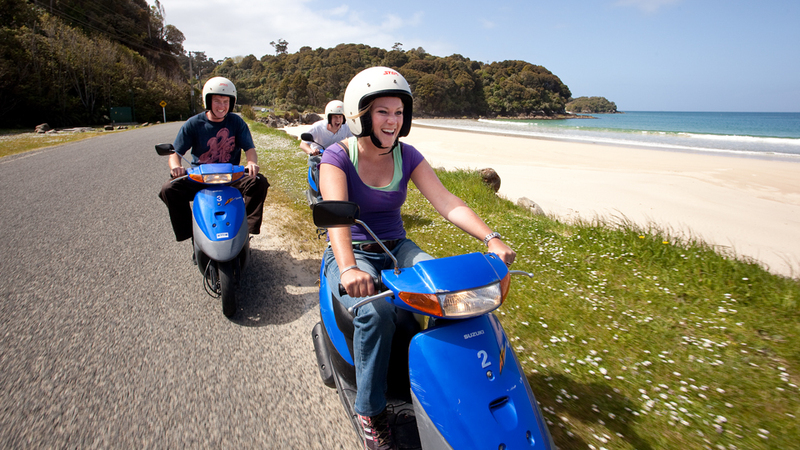 Rental cars, motor scooters and mountain bikes are available for hire from the Oban Visitor Centre for those who wish to explore independently. 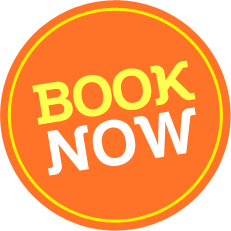 Gain an entertaining insight into New Zealand’s southernmost community, and learn about the history and environment of Stewart Island. 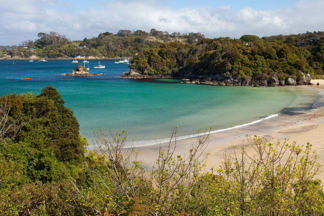 Unspoiled, incredibly beautiful, and steeped in stories, Stewart Island (known as Rakiura – glowing skies – by Maori) is well worth this informative introduction. 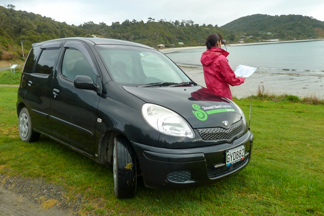 Our local guides enjoy sharing their knowledge of the area on this mini-bus tour of the Island. You will have plenty of time to get off the bus for photo stops and short walks. 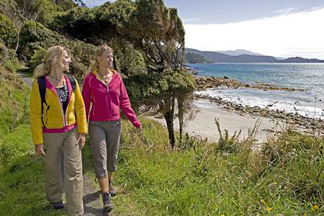 Highlights include a visit to the gateway to Rakiura National Park at Lee Bay, beautiful Horseshoe Bay and Observation Rock with its stunning views of Paterson Inlet. The cruise will showcase some of Paterson Inlet’s stunning scenery with its hidden coves and unspoilt beaches. You’ll hear fascinating stories of early Maori history and European settlement from your guide as we pass various landmarks. Your guide is passionate about this area, provides informative commentary and is more than happy to answer questions. While on board, keep a look out for fur seals and penguins – we see a lot of them around this area. Paterson Inlet is home to renowned wildlife sanctuary Ulva Island and we’ll stop there for a 45 minute guided walk. 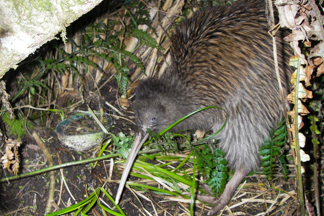 The island is home to weka (native woodhen), bush robins, rare saddlebacks and yellowheads amongst other species. It is also a protected habitat for some of New Zealand’s rarest plant species. A regular highlight is to encounter an inquisitive weka on the beach. At dusk depart Halfmoon Bay in our catamaran for a cruise across Paterson Inlet to Little Glory Cove. During the cruise pass Ulva Island (a predator-free sanctuary) and learn about Stewart Island’s rich history. Once at Little Glory Cove, disembark onto a wharf at the southern part of the peninsula known as The Neck. 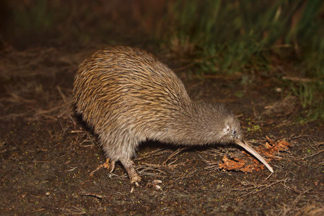 Here in the darkness you will get to see the Southern brown kiwi (Rakiura Tokoeka) – often searching for food. 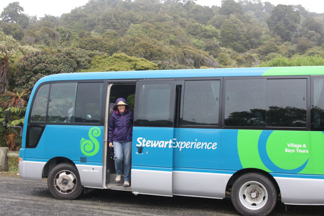 Departs: Stewart Island Experience, Main Wharf, Oban, Stewart Island. 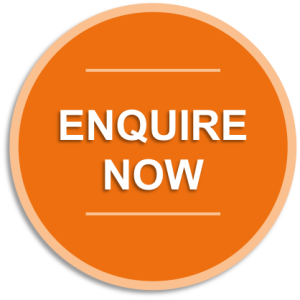 “Kiwi Guarantee” – If you don’t see a kiwi we will refund you 50% of your ticket price or give you a ticket to come back another evening (subject to availability).